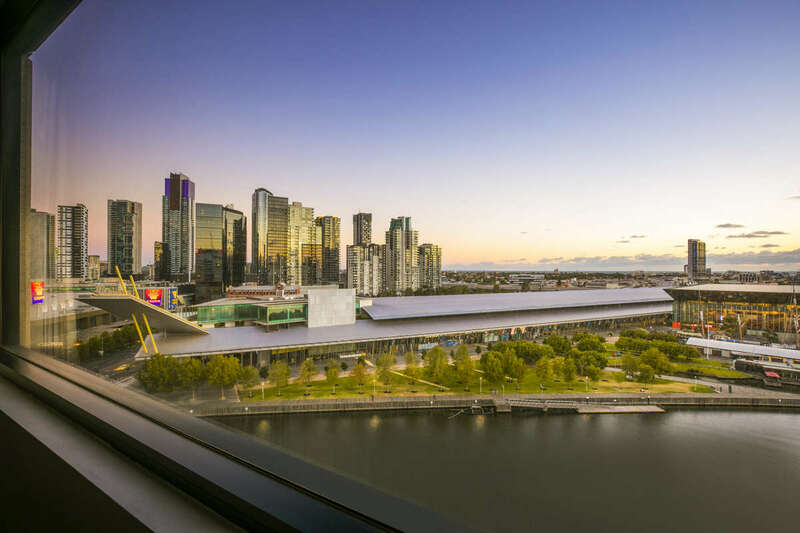 Conveniently located a four minute walk (300 metre/984 feet) across an undercover foot-bridge, Crowne Plaza Melbourne sits parallel to Melbourne Convention and Exhibition Centre separated only by the Yarra River separated only by the Yarra River. The riverside upscale hotel belongs to global hotel brand (IHG - Intercontinental Hotel Group) and has had a full accommodation transformation complete with new designed rooms, generous modern bathrooms and premium bedding. The refurbished rooms take inspiration from Melbourne city, while instilling the brand palate and ethos into the rooms which promotes restoration. The hotel facilitates free of charge high speed WiFi, 24 hour concierge and is situated within the central free tram zone. The South Wharf location affords guests the very best of Melbourne’s bar and dining scene, as well as proximity to discount shopping and designer boutiques along Collins Street and nearby laneways. 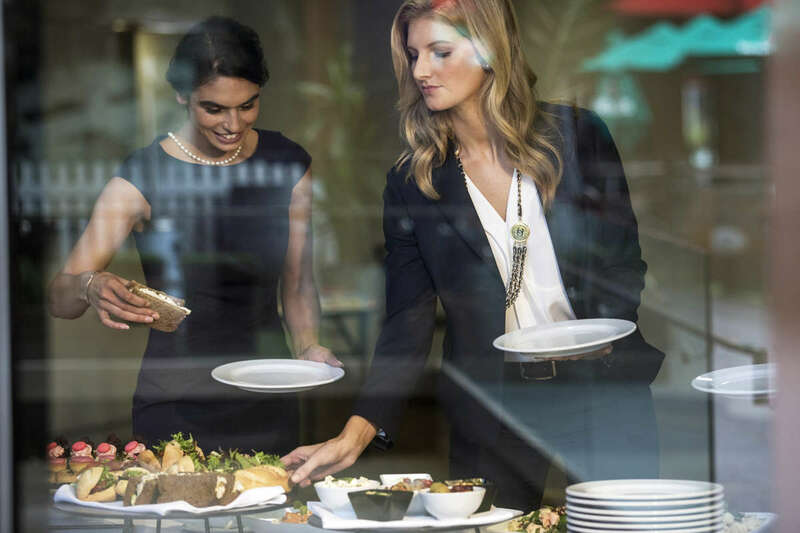 A hot buffet breakfast at the hotel’s restaurant is the perfect start to the day for delegates, and the Lobby Bar provides a sanctuary to many guests looking for a morning coffee or night cap. 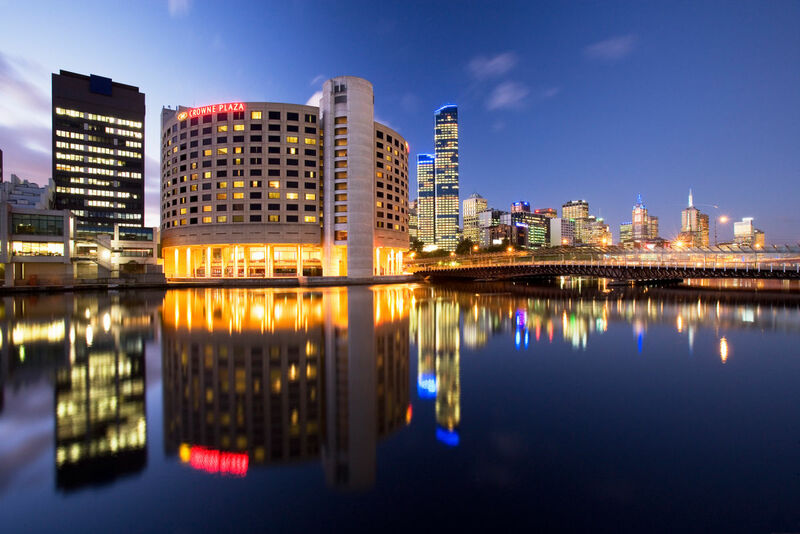 The unique curvature of the hotel affords its guests panoramic views of the city skyline and Yarra River, a welcome sight to start the morning and unwind in the evening. The surrounding boardwalks are a popular course for morning exercise, as is the indoor gym which features modern machines and complementing free weights and equipment stations. The iconic City Circle free Tourist Tram stops just outside the hotel for those wanting to explore the city’s landmarks and best kept secrets during their Melbourne stay. 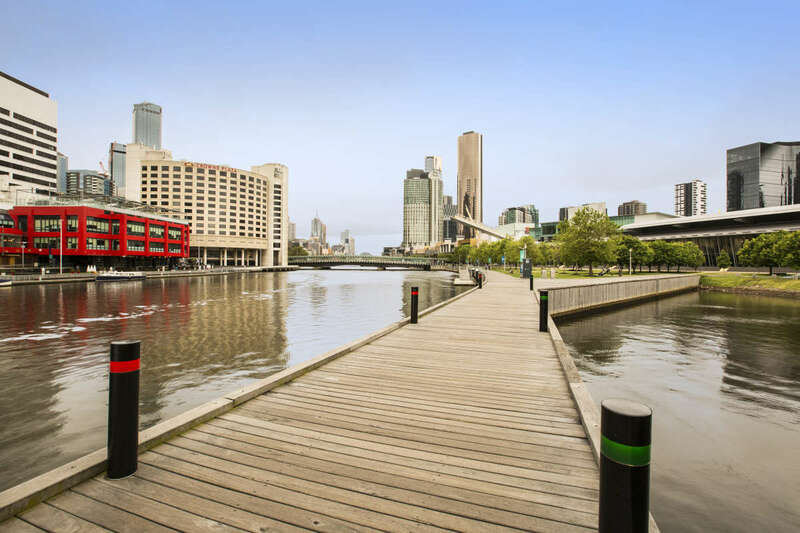 Guests can also see the city sights by river cruise making their way along the winding Yarra River, which conveniently docks near within walking distance of the hotel. Enjoy stunning views over the famous Yarra River and abundant natural light in our river view meeting rooms or host exclusive functions at hotel restaurant. 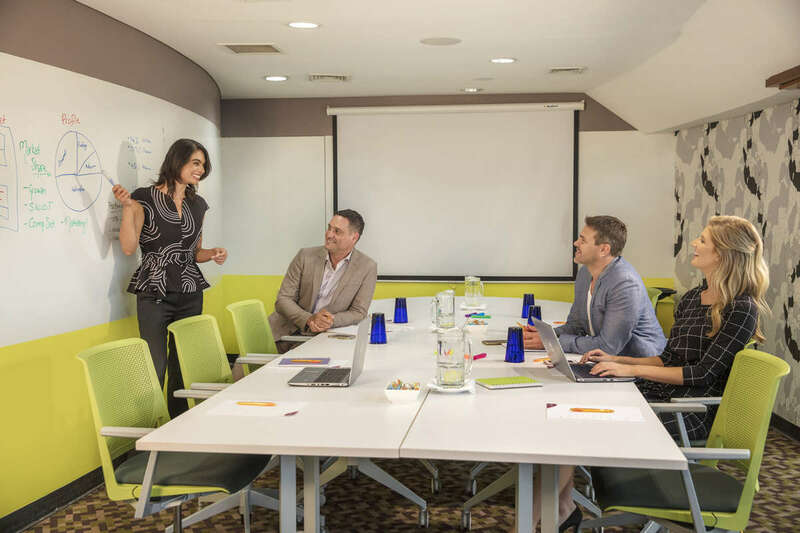 In addition, we have a creative meeting space, a professional boardroom and a flexible meeting space with the ability to split into two separate meeting rooms to meet the needs of every occasion.